This homework goes along with the Journeys reading series. 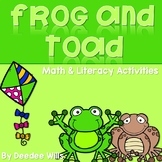 Lesson 21 Frog and Toad. 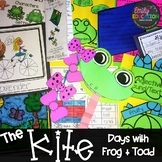 Can be used as homework, morning work, or in centers. Parents love it! Same format and easy to understand what to do. 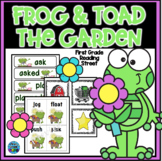 This is an I Have Who Has game using spelling words, -ar, and high frequency words for Frog and Toad The Garden (Unit 5) Journeys Common Core Reading Series. Assessment for the story Frog and Toad from the Journeys Reading Series. This is based on the Tennessee version. 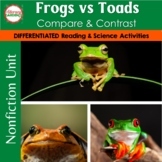 It includes comprehension questions from the story, Spelling assessment, phonics assessment, and a Words to Know Assessment. 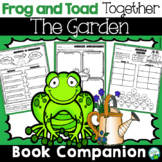 Frog and Toad (The Garden) - Journeys - 1st Grade - Vocab. 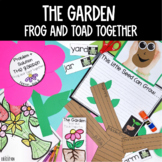 This pack is designed to go along with 1st Grade Scott Foresman's 3.4 Frog and Toad Together : The Garden. 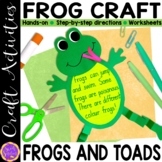 Activities include inflected endings -ed and -ing games, controlled -ar games, blank frog game board, High Frequency Word Cards, Spelling Word cards and test. Only $1.00!!!!! 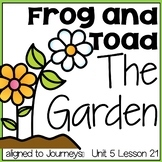 The Garden from Frog and Toad Together Journeys Unit 5 Lesson 21 Sup. Act.